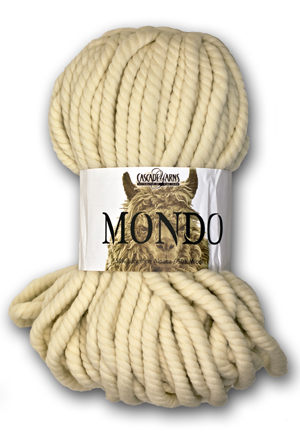 Mondo is just what it's name implies, SUPER bulky and SUPER soft! It's a soft blend of superfine alpaca and wool. This new yarn is best for quick and bold statement pieces and has a gauge suitable for arm knitting. Available in 4 colors.